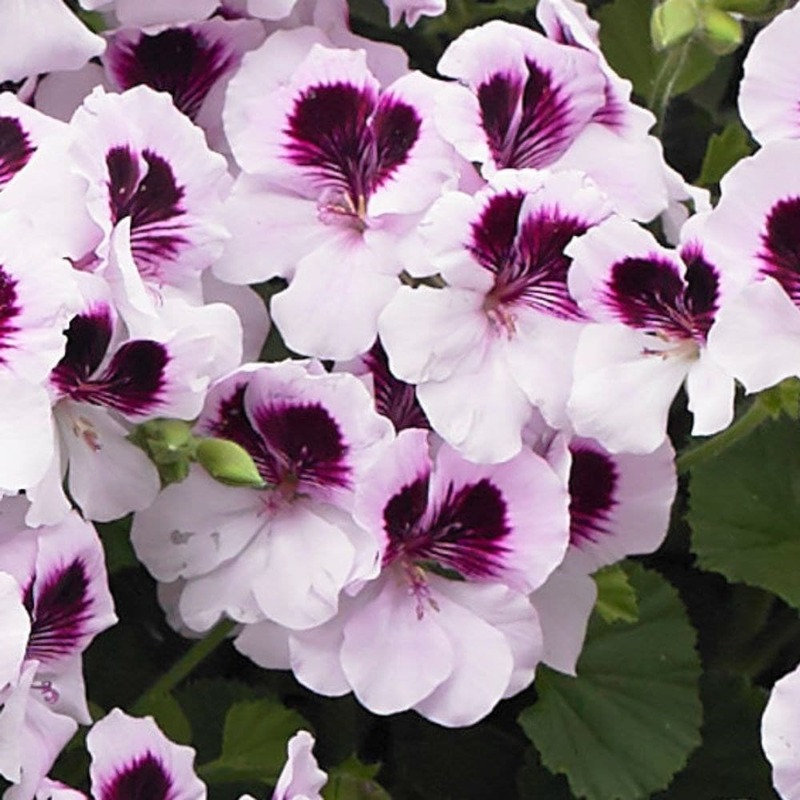 Producing its bicoloured flowers in abundance over a long period in summer, this gorgeous pelargonium is practical as well as beautiful as its citrus-scented foliage will also help repel mosquitoes. Therefore, it's ideal for using as a centrepiece on an alfresco table on a summers evening - or for placing near your picnic on the lawn. 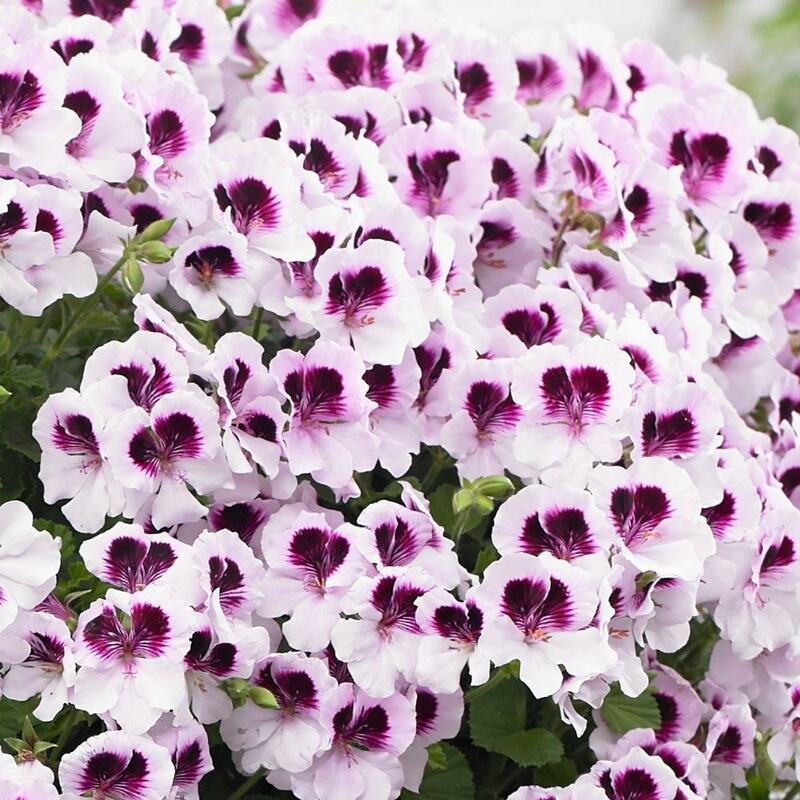 Garden care: Place them outside in the garden after the risk of frost has passed. 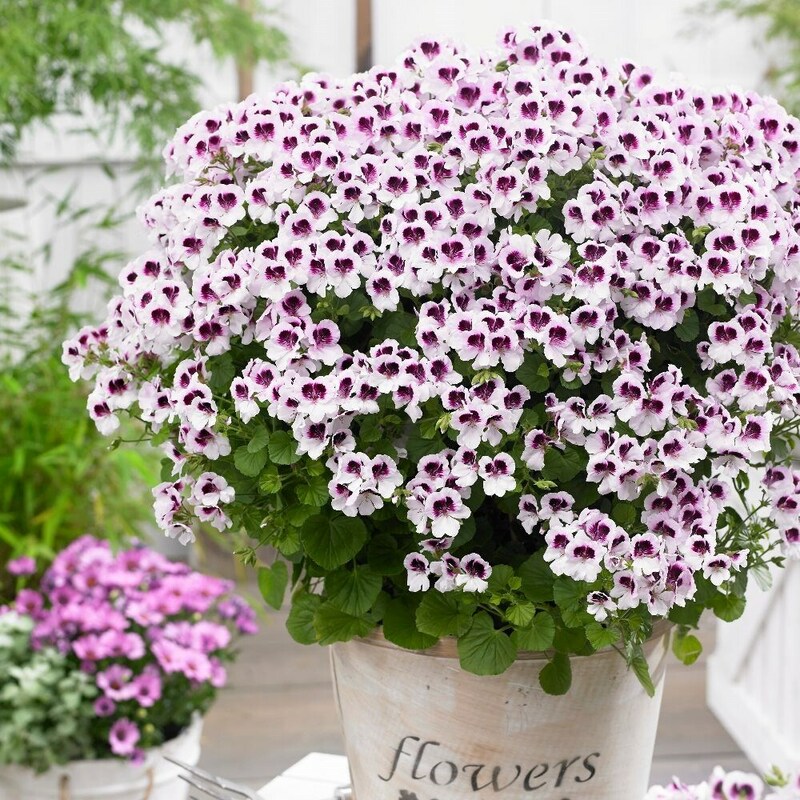 Remove the spent flowers as they fade, and keep them well fed using a dilute solution of a high-potash liquid fertiliser (Tomorite is ideal) at regular intervals. If you want to keep them over the winter, move them to a frost free environment and avoid overwatering during the colder months.